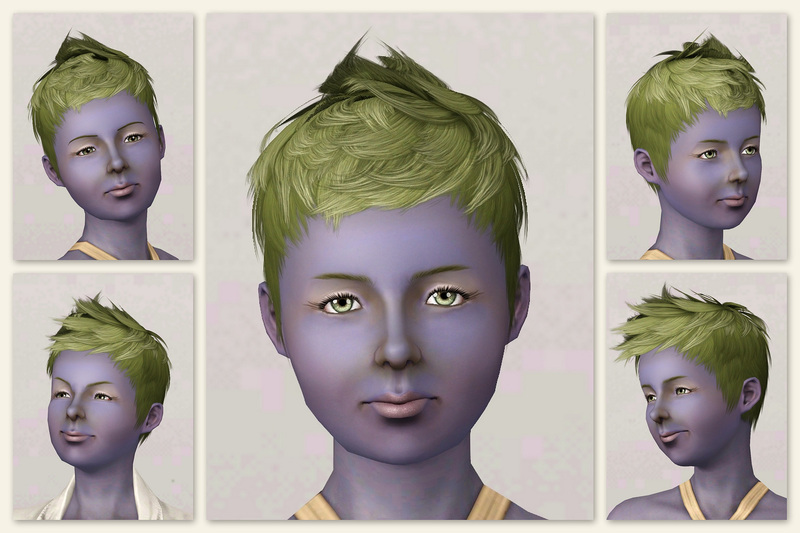 All right, so berry-sims aren't everyone's cup of tea. To be honest, they aren't really my thing either. But I have been needing a little change of pace lately. So I thought I'd give it a shot. Virginia "Gin" Rickey is a vivacious go-getter. Being an incurable optimist, her glass is always more than half-full and that is just the way she likes it. She is highly intelligent with a wide range of interests. Her willingness to try new activities makes her seem adventurous, but it is really her tendency towards restlessness that drives her inconsistency. Her current passions are split between the medical profession and her innate talents in the kitchen. 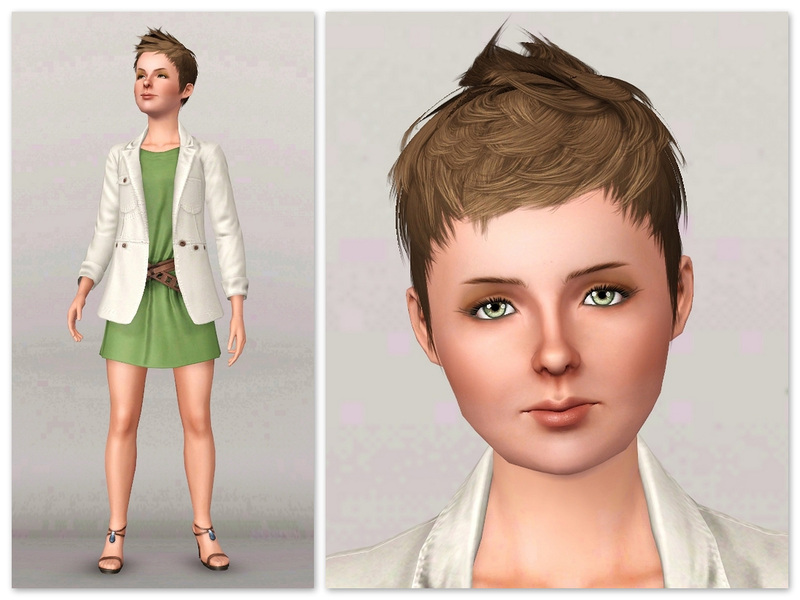 This sim is saved with EA default skin, but with the other content shown! The skinblend tone ramp is set specifically for the CC skin listed above, so if you use a different one, you may need to adjust accordingly. The custom sliders are only required if you intend to edit her. The pose used in the clothing picture is from my "Funny Face" collection. All other pictures are from in-game animations. Thanks to Baufive for the camera backdrop. And thanks to Tigerdyhr and DOLCE_VIDA in CFF for putting up with my temporary insanity. I *swear* I'll return to sim-lebrities soon! 33 people have said thanks to k2m1too for this download.